Are you interested in understanding diseases like cancer, diabetes, and others? If so, the Bachelor of Science in Biomedical Sciences degree is for you. Whether you’re interested in a career focused on investigating the cause of disease at the cellular and molecular level, testing new pharmaceuticals, or developing treatment plans for patients, this degree is the first step forward. The Biomedical Sciences degree will prepare you for professional school, or employment in a clinical or research lab. Should a graduate degree in a sub-discipline of biomedical sciences, such as microbiology, cell biology, genetics, developmental biology, or immunology be in your plans, then this degree will provide the rigorous curriculum graduate schools are looking for in their applicants. You will receive training from faculty with expertise in the biomedical sciences who teach courses such as microbiology, endocrinology, cell biology, molecular biology, immunology, pathophysiology, genetic analysis of human disease, and others. As a Biomedical Sciences student, you can engage in original, faculty-guided scientific research and actively contribute to advancing our scientific knowledge of human health and disease. You can choose a course of study in developmental biology, genetics, microbiology, physiology, cell biology, and others. The Department of Biological Sciences highly encourages undergraduate research by providing opportunities for students to present research at conferences and serve as co-authors on scientific publications. Get involved in one of the many student organizations hosted by the Department of Biological Sciences. 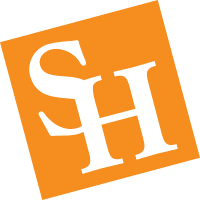 Organizations include SHAMOS (Sam Houston Association of Medically Oriented Students), Tri-Beta (a national biological honor society), the Pre-Dental Club, and the SHSU student chapter of the American Society for Microbiology. The degree also prepares you for employment in a research laboratory. View the Biomedical Sciences brochure (.pdf).